WOW, the thrift stores have been giving me more fabric than I can possibly use lately. I don’t need it all but it’s so hard to say no to it. For now, I not saying no. I’m buying it up and at some point I’ll sort through some of my stuff and move some on to the charity groups. 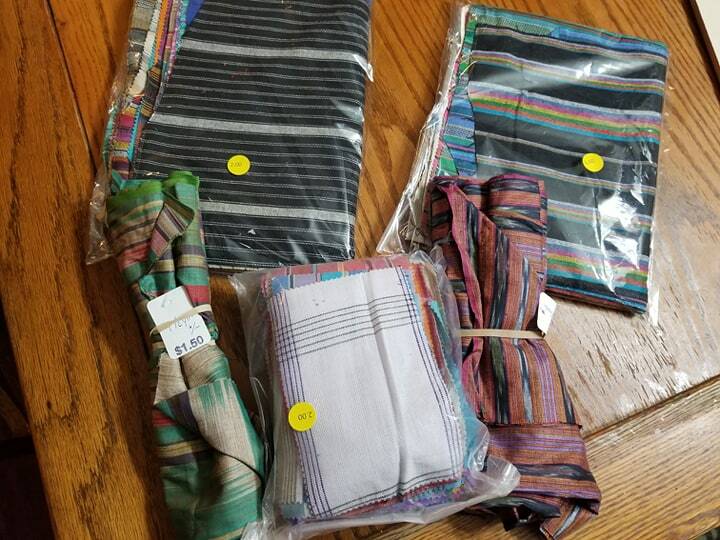 Remember last week that I said I found those Kaffe Fassett fabrics….well this week, there was more. I’m sure this is a Kaffee fabric. 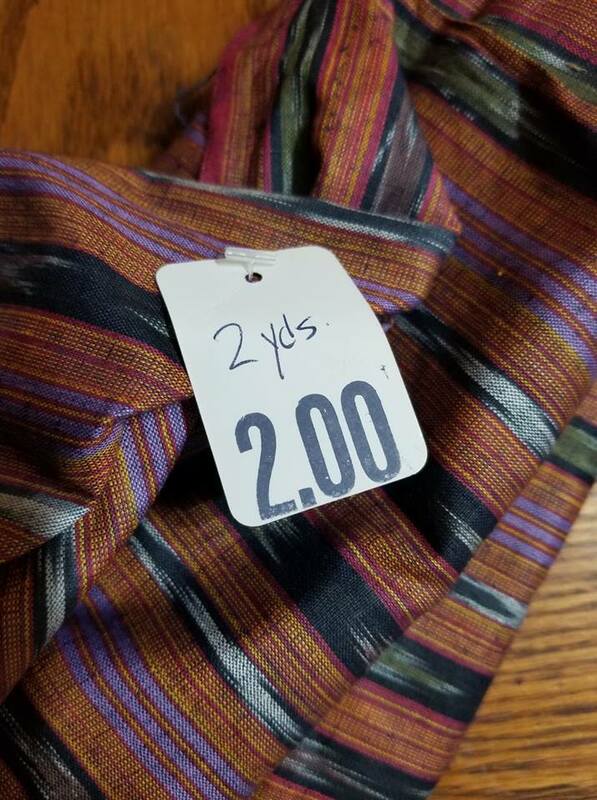 Yes, 2 yads for $2. I’m so excited for their new marking system. Before I had no idea how much was in each bundle. This one is a Kaffee too. I am just thrilled. I am going to make some of the quilts in the book Linda gifted us. This one! There were more striped prints in the bunch. I think these aren’t Kaffe’s though. These are more of a heavier home spun. They can easily mix in though. I’m thrilled with them. This pack was $1.50. There were 13 different pieces. The other bunch had 21 in it. This one was $2. The pieces in each of these bags were about fat 1/8 sized. 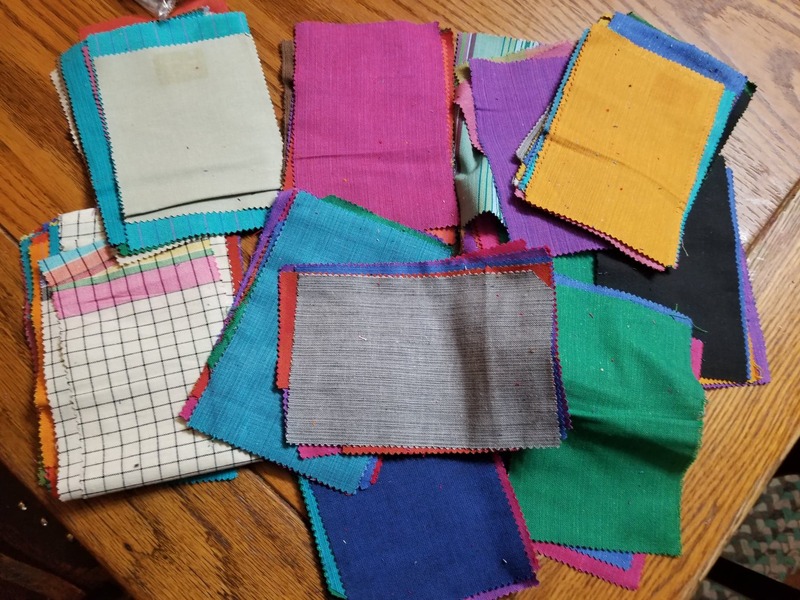 There was a bag of rectangles of the same fabrics. There were just over 240 of these. This bag was $2. 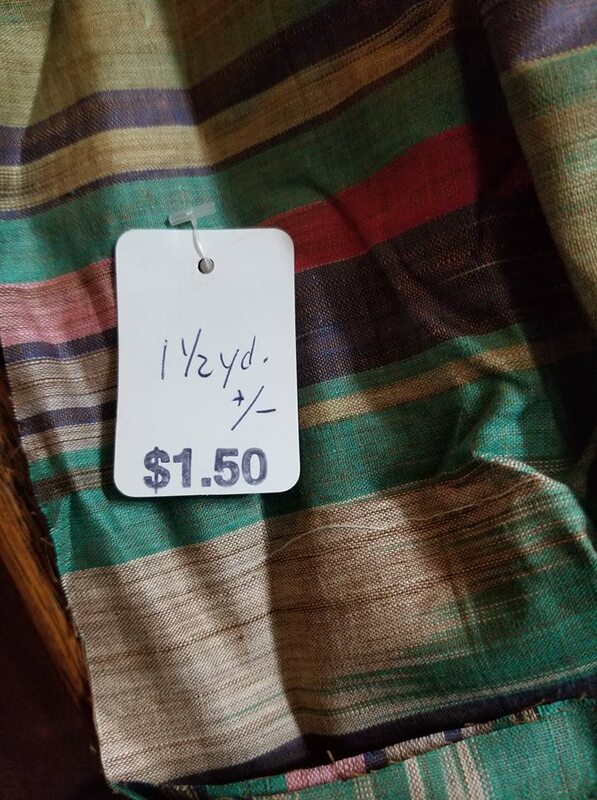 We did start to wonder how our thrift store processes fabric though. We wondered if a whole bunch was donated, they processed it and threw it into a big bin…then when the baskets out front are empty, they will fill it with whatever they grab out of the processed bin in the back. 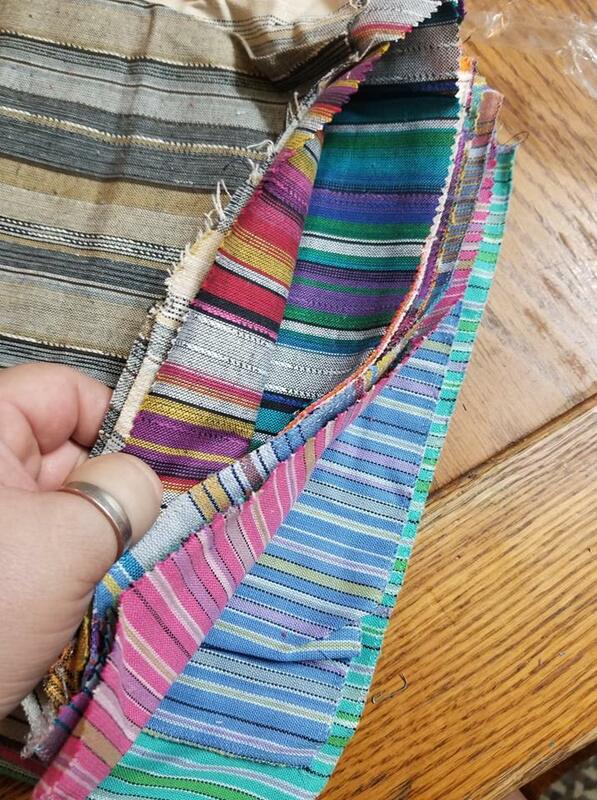 It amazes me that I could find striped fabric on TWO different days only about a week apart. Whatever it is…I’m loving it. I’m getting close enough that pretty soon I’m going to have to pick a project to make!! Yahoo!! 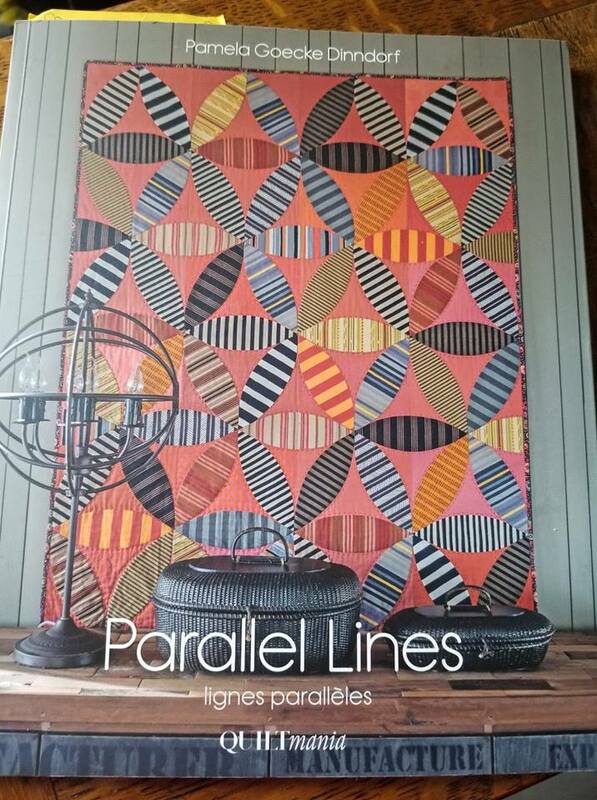 This entry was posted in Stash Report on August 12, 2018 by Jo. 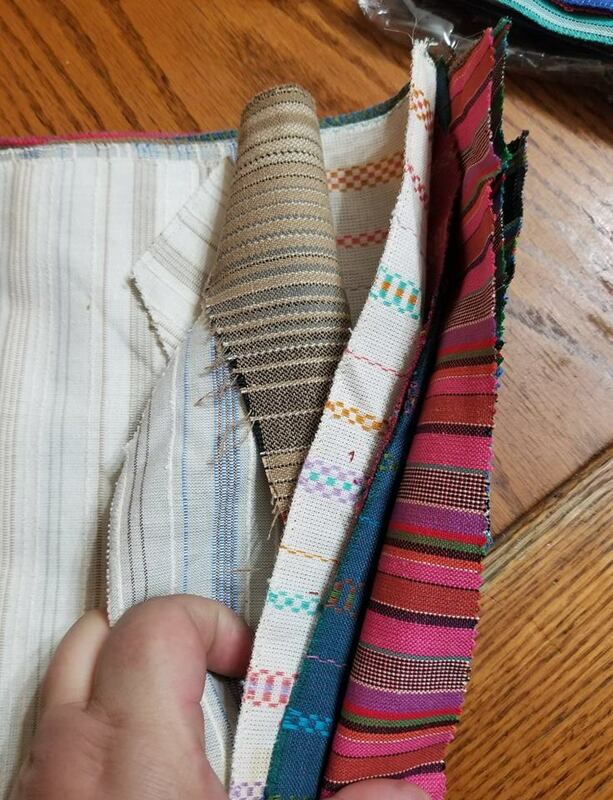 Oh….I love all the fabric……I am go I to start wishing for.stripes…. If I remember right, that quilt on the cover was my favorite quilt in that book. Nice finds. Thanks for sharing. Wow! Our thrift stores never have fabric. That book looks like a winner !! Do you know how lucky you are to have it ?? The price I saw was OUTRAGEOUS !! I’ve never seen a quilt book that expensive ! Am I looking in the wrong places ?